hope you're ready for a sale today---- world market is having a major sale. 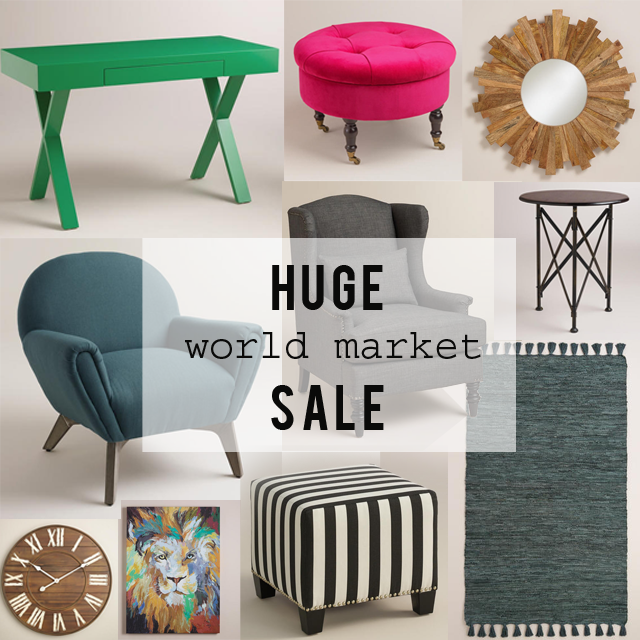 if you are needing a new sofa or desk, or maybe a mirror, side table or rug...come take a look + save! save up to 50% off living room furniture-- sofas, sectionals, chairs, accent tables, etc., up to 50% off mirrors + wall art, up to 30% on home office + save 20% off woodland retreat rugs! check out my tops picks--- SO much incredibly cute stuff-- it was hard to choose!